"Cyclone Stand Thunderbolt, eh? It's frustrating, but also a little beautiful..."
"I superior ride the Knight of Godspeed, Galahad!" An FFBS member serving under Bidou Kiriya. Hiromi is the second most popular Brilliant Star among the team's fan club, and appreciates all things beautiful. Spoiler warning: Season 1 details follow. Hiromi appears alongside the other FFBS members while hunting Kyou in ride 42, but gets his proper introduction in 47, where he's paired off with Kamui during the national elimination round. 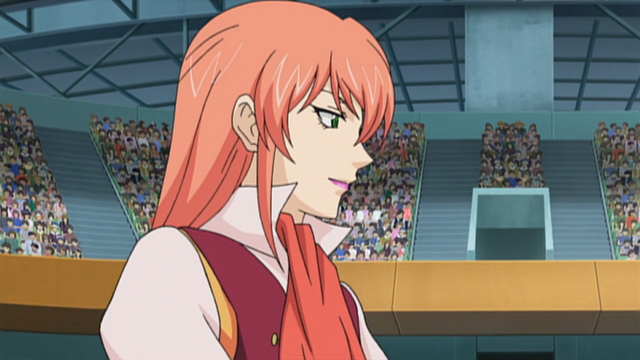 Here he demonstrates his skill with the Royal Paladin clan, showing an alternate way of running it different from Aichi's, but Kamui is disappointed by the vast gap in skill between Hiromi and Sendou. Miyoji loses the fight, but inspires his teammates to push harder against Q4. Hiromi's Knight of Quests, Galahad. Universal Notes: Hiromi appears to treat his units in a somewhat business-like fashion, using the "-kun" suffix even for female units, where "-chan" or "-san" would be equally appropriate. Like all FFBS members, his surname contains the kanji for "beautiful," but in his case it is paired with the kanji for "fair, handsome." 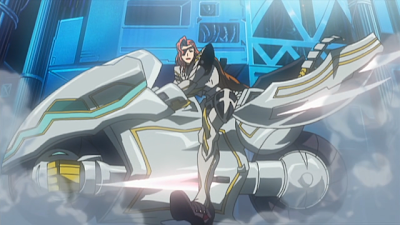 Hiromi uses a Royal Paladin deck, which uses the Galahad line's evolving ride to guarantee hand security and make use of soul-centric skills. For his support, Hiromi uses the self-soulcharging Margal to power up Young Pegasus Knight and Great Sage, Barron, while Akane superior calls Margal. As a backup, Lohengrin can soulcharge each turn to support these soul-based units.